Just wanted to introduce myself. 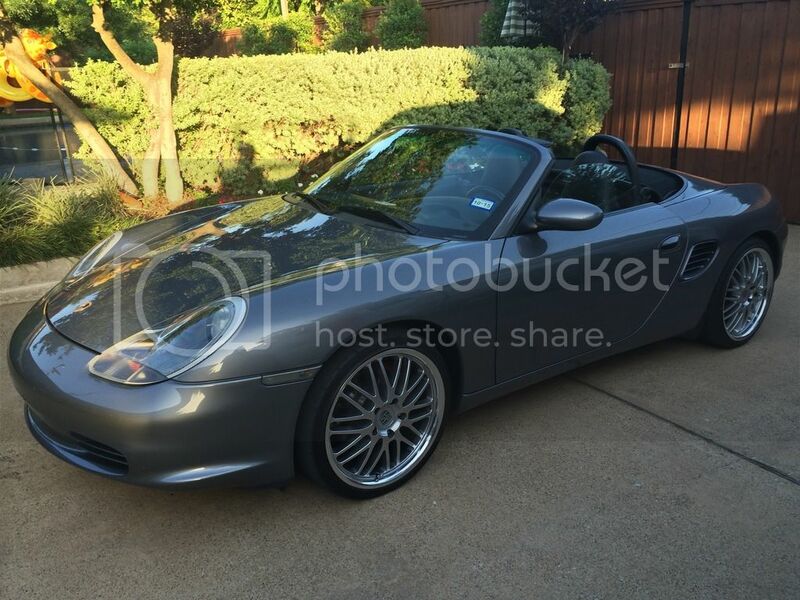 I recently bought my first Porsche, a 2004 Boxster with 32k miles in seal grey metallic with a 5-speed. The previous owner made all the right upgrades, adding 19's, Carrera brakes, Fabspeed exhaust cat delete, and an aux cord. 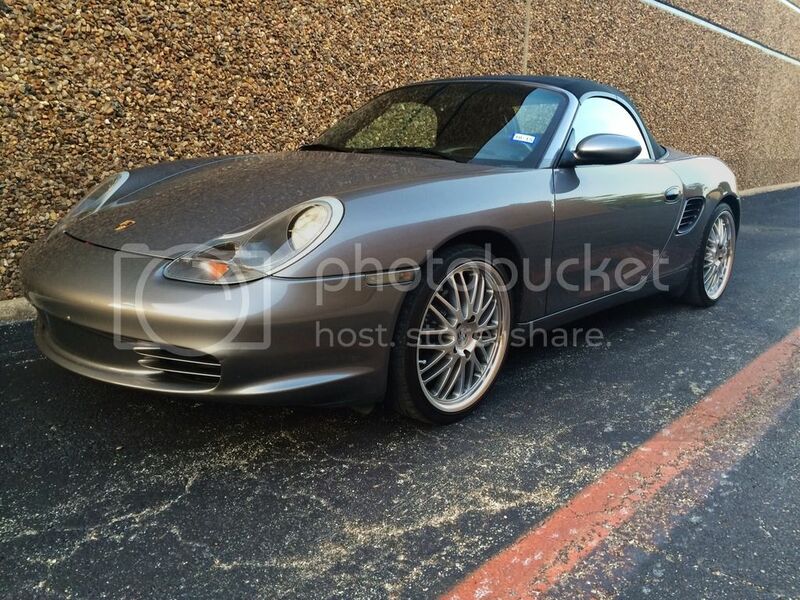 I plan on adding a short shift kit, probably a 987 shifter. I love the handling and exhaust note. The 986 makes my e46 330ci feel big and soft. The only problem I've had is a rear brake bulb went out. So I swapped all the rear bulbs to leds, will do a separate write up on that. Congratulations! And welcome to the forum! Looks great, welcome. I really like the look of those wheels, I wouldn't want to clean them though. Looks great and welcome to the forum! There is lots of great advice here as you are probably already aware. Looks great - what wheels does she have?